The updated version for the Manjaro 15.09 is now available. 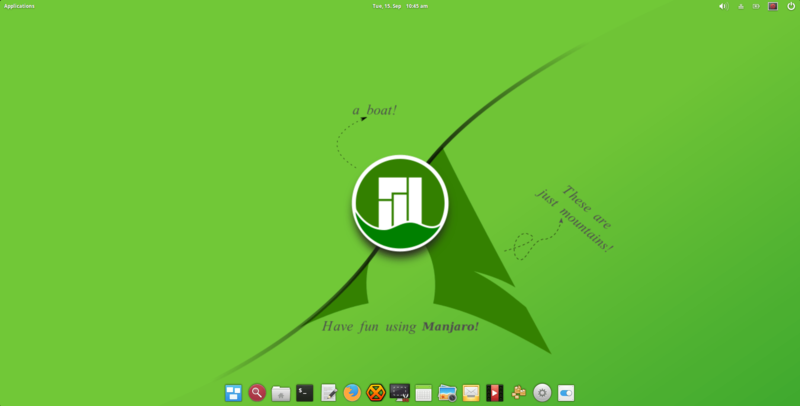 Please welcome Manjaro 15.09 Release Candidate (RC 3). Manjaro is an Arch based Linux desktop which is easier for us to use Arch Linux without having to deal with complex installation of Arch. The Linux kernel used on the 15.09 installation media is the 4.1 (LTS) series. This series of kernel has been selected for it’s blend of stability, long-term viability and modern features & hardware support. Our graphical installer Thus (default graphical installer) aswell as the CLI installer have been thoroughly tested to meet a huge variety of system and encryption environments. Additionally we added Calamares as an alternative graphical installer to try out. Menda themes have been re-based on the excellent Vertex by horst3180, with a great deal of Manjaro customisations and additions. Our Menda look-and-feel has been extended to include Numix-based icons and a Breeze-based cursor theme, both modified to best match Manjaro’s styling. Ready to give a test? Download Manjaro 15.09 RC ISO Now. I have plenty Manjaro tutorial on this blog. For new Manjaro users, you may interested to check them out.